Scripted TV’s embarrassment of riches has become a literal embarrassment for The Academy of Television Arts & Sciences in recent years as the quality and breadth of programming has outpaced the Emmy eligibility rules, leaving superlative shows and talent out of the running for television’s top prize. 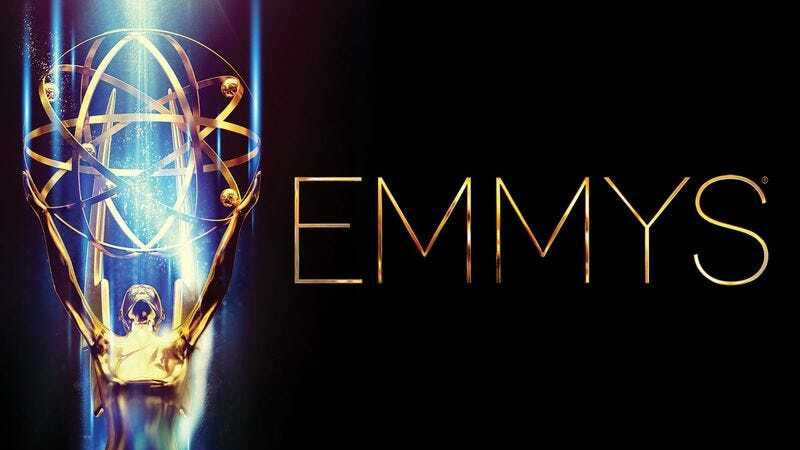 But the TV Academy is taking steps to address the flaws in its Emmy nomination process, including an expansion of its Outstanding Drama Series and Outstanding Comedy Series categories from six nominees to seven. The move is reminiscent of AMPAS’ 2009 decision to double the number of nominees for the Academy Award for Best Picture from five to 10. But whereas AMPAS instituted the change in order to recognize more commercially successful films that don’t typically get Oscar consideration, the TV Academy’s expansion will create more opportunities for such critically adored, little-watched shows as The Americans and Broad City. Of those two shows, Broad City is the one to benefit most from the TV Academy’s rule amendments, which also address the grey areas in its category definitions that have sparked accusations of Emmy gamesmanship. Under the Academy’s new rules, shows with running times of more than 30 minutes are no longer eligible for the Outstanding Comedy Series race, precluding sporadically funny hour-long shows like Orange Is The New Black and Shameless from entering. The controversial strategy has paid off in the past for shows like Desperate Housewives and Ally McBeal, and continued to reap benefits in 2014, with Orange taking home two Emmys in comedy categories, and Shameless landing its first major category nomination after three unsuccessful years of competing as a drama. The change will flood the overcrowded Outstanding Drama field with new competitors, but the Academy also instituted a new rule to prevent drama entrants from exploiting the ambiguity between the series and mini-series categories. Under the new rule, a show must maintain an “ongoing storyline, theme, and main characters” from season to season to be eligible for series categories. The rechristened Outstanding Limited Series category will accept traditional mini-series as well as anthology series like American Horror Story. Last year, True Detective and Fargo were able to steer clear of each other, with the former trying its luck in the series category while the latter won Outstanding Miniseries. With the new rules in place, the series are almost certain to face off in a future Emmy race. The Academy also clamped down on the free-for-all that is the Guest Actor and Guest Actress categories, putting a six-episode cap on the number of episodes in which an actor can appear before they have to enter the Actor and Actress races instead. The issue has attracted attention in recent years, with actors like two-time winner Kathryn Joosten entering for her work in Housewives despite appearing in nearly every episode. Neither of 2014’s Guest drama winners—Orange’s Uzo Aduba or Scandal’s Joe Morton—would be eligible under the new rule. Sketch comedy gets a race unto itself, thanks to the Academy’s decision to bisect Outstanding Variety into Outstanding Talk Variety and Outstanding Sketch Variety. The move will put Saturday Night Live within Emmy striking distance after years of losing to late-night talk, as well as making space for newer sketch shows like Key & Peele and Inside Amy Schumer. The only catch: The Talk award will be included in the main telecast, while the Sketch award will be relegated to the creative arts ceremony, the nerds’ lunch table of the Emmys. Because every television show is a uniquely beautiful snowflake, producers will be able to lobby to the TV Academy to appeal any eligibility rulings under the new rules. Somewhere, Ryan Murphy is preparing a case for why American Crime Story is a reality series.